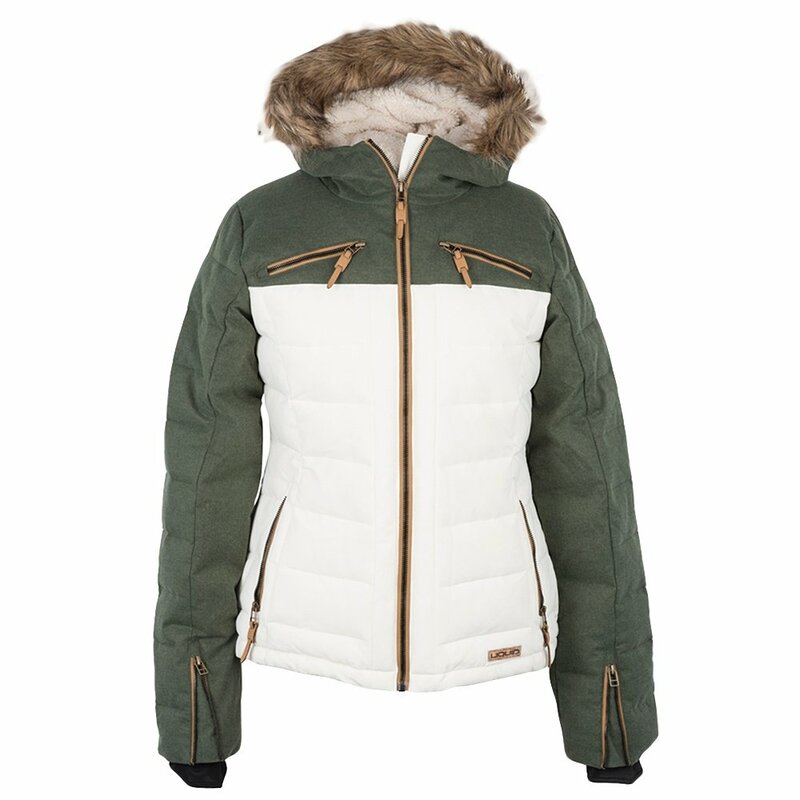 Bundle up in this great looking insulated jacket by Liquid. The Liquid Pizzazz Snowboard Jacket features 100% polyester construction with a wool look and ottoman fabric. You'll feel secure and protected from the elements when you pull on the hood with a mane of faux fur. Waterproofing technology keeps you dry, and 120g of polyfill insulation keeps you toasty warm. Whether you're on the slopes or in the streets, the Liquid Pizzazz insulated jacket is sure to perform and exceed expectations.